Facebook research on the prevalence of "lol" and "haha." Be careful how you laugh. Online social interactions are known for being fraught. Without cues from body language and tone of voice, people turn to more opaque indicators like whether someone has read a message, when they start typing the response, and how long they spend crafting it. And in the absence of IRL cues for interpreting laughter, we’ve evolved a nuanced systems of hehes, lols, and HAs to express a range of emotions including doubtful, bemused, and merry. But you can’t just write your laughter any old way. The idea that “most people used a single type of laugh” doesn’t track with what I do or what I’ve seen, but as researchers Udi Weinsberg, Lada Adamic, and Mike Develin wrote, “Why rely on anecdotes when you have data?” Easy for you to say, Facebook. Though lol came up short in the study, it is perhaps the most iconic form of online laughter. And in recent years it’s gotten a second wind. John McWhorter wrote on CNN in 2013 that lols “signal basic empathy between texters. What began as signifying laughter morphed into easing tension and creating a sense of equality. That is, ‘LOL’ no longer ‘means’ anything. Rather, it ‘does something’—conveying an attitude.” In the same way that a snort or curt laugh can indicate doubt or derision, written laughter has evolved the ability to provide commentary instead of simply indicating mirth. Facebook’s study was motivated in the first place by Sarah Larson’s meditation in the New Yorker from April titled “Hahaha vs. Hehehe.” She compared has to building blocks like Legos, noting that one ha is a polite nod, two is a standard laugh, and three or more means something was lough out loud (not lol) funny. “I consider ‘hehe’ to be the ‘woah’ of laughter,” Larson wrote. And this shows just how much written laugh choice has to do with micro context. Personally I think of hehe as sort of sneaky or off-color, like two Boardwalk Empire mobsters hatching a plan. But as the Facebook study shows, where you are and how old you are has some effect on which written laughter you use and how you interpret it. There are other factors that affect our decisions to e-laugh, too. A 2013 study of Facebook data at Copenhagen Institute of Interaction Design pointed out that there’s a connection between written laughter and familiarity. Researcher Shu Yang Lin found that people use more written laughter when they first become Facebook friends with someone. When people have known each other for a long time they use fewer hahas. An infinite number of other factors also play a role in how and why we select a particular written laugh. 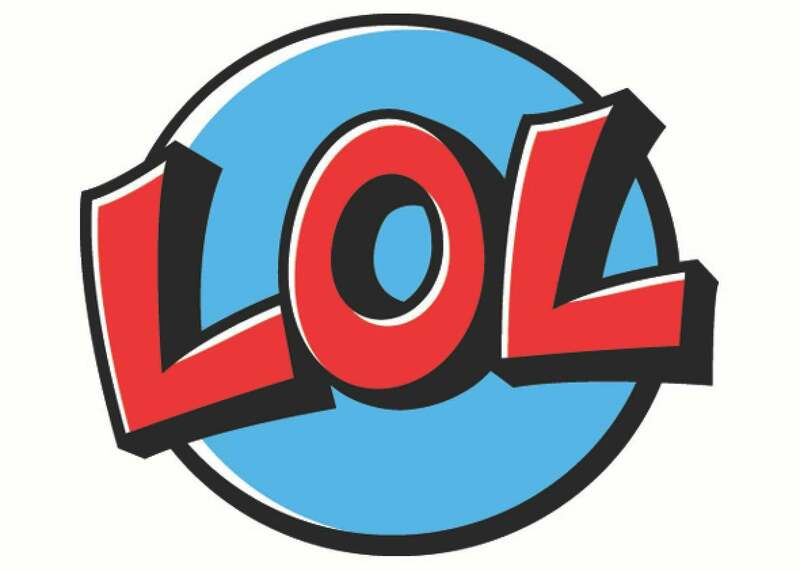 In a history of lol in the Conversation, Lauren Collister writes, “Clearly, the connotations associated with each form seem to be as unique as the people using them. These variations give all the more support to Edmonson’s assertion from 1987 that our laughter is a sign of our individuality—even in text.” Don’t try to put haha and lol in a box.